A MAN has this morning been charged with the murder of Portsmouth beauty therapist Sarah Wellgreen. Detectives from the Kent and Essex Serious Crime Directorate, with authorisation from the Crown Prosecution Service, have charged Ben Lacomba, 38, from Bazes Shaw, New Ash Green. Mr Lacomba, who was arrested on October 16 in connection with the investigation, was re-arrested yesterday. 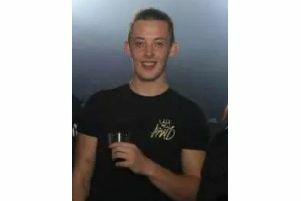 He has been charged with murder and is remanded to appear by video link before Medway Magistrates’ Court at 10am today. The search for Ms Wellgreen, who has five children, continues.